Born in Steubenville, Ohio, February 14, 1959. Admitted to the Kentucky bar in 1984 and the Ohio bar in 1985. Admitted to practice before all Kentucky and Ohio State and Federal Courts; and the United States Supreme Court. Education: Morehead State University (B.S. 1981); Chase College of Law (J.D. 1984) Susanne served as a staff attorney for the Kentucky Court of Appeals from 1984-1991 under Chief Judge Charles Lester and Judge Judy West. From 1991-1993, she was in private practice in Cincinnati, Ohio with the law firm of Kohnen, Patton, and Hunt, focusing on medical malpractice defense and insurance defense litigation. In 1993, she joined the law firm of Ware, Bryson, West and Kummer in Edgewood, where she was a partner for seven years. In January 2001, she and her husband/law partner, formed the firm of Cetrulo and Mowery. Throughout the years, Susanne has litigated civil cases in both states and handled adoptions in both states, including private, international, interstate and special needs adoptions as well as other domestic relations matters. 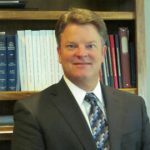 In 2004, Susanne was listed as one of Kentucky’s most prolific trial attorneys by the Kentucky Trial Court Review, and the firm was likewise listed in 2006. Susanne and Robert formed Cetrulo and Mowery in 2001 and are proud to have merged with T. Lawrence Hicks, in 2012, forming this venture. After 30 years, Susanne has assisted more families in becoming families through adoption, than she can count. Adoption assistance remains her career passion. She is also now performing mediations for other attorneys, and sharing her experience in valuing civil lawsuits. Susanne and Robert are the proud parents of three children, Nicole, Rob, and JP.